When you look for the right Shawnee back pain doctor, you will find an experienced, competent, compassionate team at LifeWorks Integrative Health. It is estimated that over 80% of Americans will experience back pain at some point. 31 million people are experiencing back pain at any given time. Chances are you have already experienced back pain or are currently experiencing back pain. We are here to help. Not only is back pain one of our specialties, but we also have the multidisciplinary team in place to address the underlying cause of your back pain. Pain has many causes, takes many forms, and effects people in very different ways physically and emotionally. An experienced Shawnee back pain doctor knows that a comprehensive approach is needed to fit your specialized needs. Has Back Pain Treatment Failed You? It is not uncommon at all for people to come to us when other, more conventional treatments, have either stopped working or simply failed. It is a common experience for us to help people with back pain after surgical interventions did not live up to their hype, or when pain medications are no longer working. 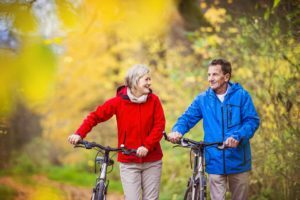 Medications and surgery are such a common approach, that often people have not been offered, or known about other ways to solve their back pain. The Shawnee back pain doctor you need understands why more and more people are wanting to avoid using opioid medications, even when appropriately prescribed and used for real pain. In addition, more and more people are experiencing and learning the negative side effects of NSAID anti inflammatory medications. We have the approaches to back pain that helps you avoid medications and surgical intervention when at all possible. We get the results you need because we understand the cause of back pain, we understand how the body works, and we understand that your body was designed to move right, feel great and heal. This is why we are the Shawnee back pain doctor you can trust to get you the health you need for the life you want. The causes of back pain are in some ways are too numerous to list, but in other ways have common themes. Even though there are commonalities in back pain, this does not mean your pain can be treated the same someone else’s. A lot of back pain stems from weak and tight muscles in the core and hips. This happens from prolonged sitting/desk work, poor posture, overuse of handheld devices, and general lack of proper biomechanics. The body was designed to move as it has for centuries past. LifeWorks is the Shawnee KS back pain doctor that understands how our modern culture has decreased the level of day to day movement and most people engage in daily, repetitive movement that reinforces improper biomechanics. This is a recipe for weak, tight muscles prone to injury and pain. Our approach always starts with the question “why.” We want to understand the cause of your pain to truly solve it, not just cover up your symptoms. This includes a comprehensive physical medicine assessment, recommendations for functional medicine work when applicable, and access to multiple treatment options we have available. When it comes to back pain, a trusted Shawnee back pain doctor uses all the tools available to get you well, not just the easiest, quickest approach. We develop the right plan for you using chiropractic care, trigger point therapy, rehab, and regenerative medicine options. We develop your plan based alongside you based on your needs, your lifestyle, and your health goals. We aren’t a top down dictator of how you should manage your health. We are your guide with years of experience, the highest levels of training, and expertise that allows us to develop a path of healing with you. You know YOU better than anyone which is why you need the Shawnee back pain doctor who will truly listen and respect your point of view through your entire journey with LifeWorks Integrative Health.